Since 1727, JS Bach’s “Great Passion” has gripped the hearts and uplifted the minds of audiences all over the globe. Nearly three centuries after its premiere, the work has lost none of its power to evoke feelings of compassion for all those who suffer. Its mix of urgent story-telling, meditative arias and mighty choruses sets St Matthew’s account of Christ’s betrayal, trial and execution eloquently and emotionally. 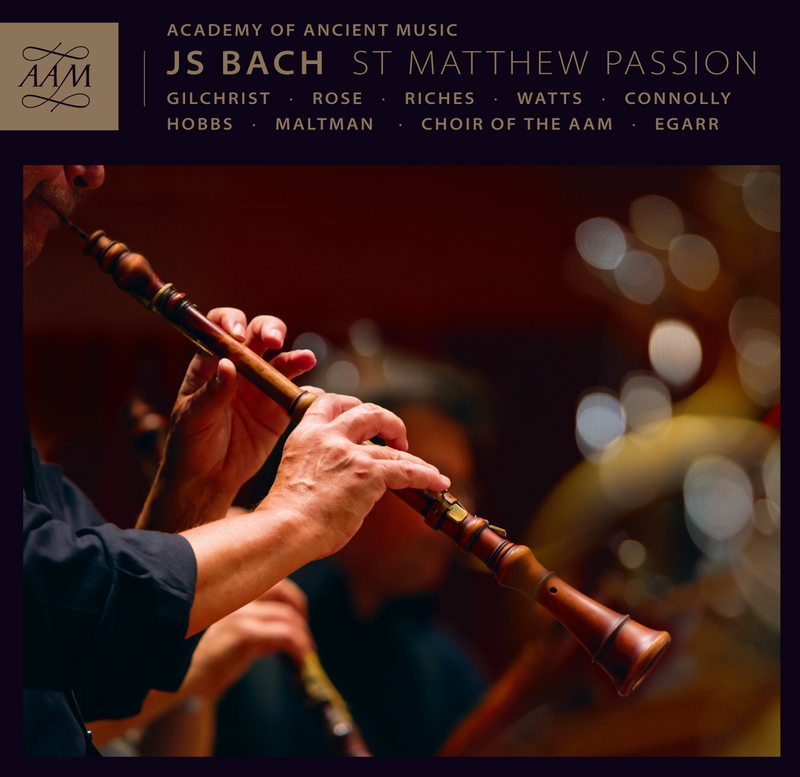 Over the past 40 years the AAM has made over 300 recordings of baroque and classical music, winning Brit and Gramophone Awards along the way, however – remarkably – this is our first recording of the St Matthew Passion. With a superlative cast including James Gilchrist, Sarah Connolly, Thomas Hobbs, Elizabeth Watts, Christopher Maltman and Matthew Rose, and directed by Richard Egarr, this is a landmark project. 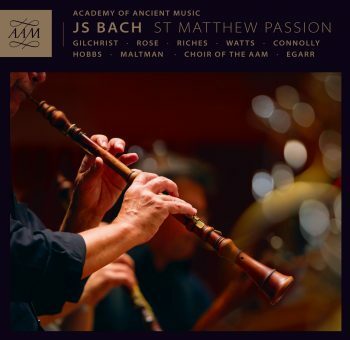 AAM Music Director Richard Egarr and leader Pavlo Beznosiuk discuss the original 1727 version of JS Bach’s St Matthew Passion from St-Jude-on-the-Hill, London, where AAM004 was recorded. Go behind the scenes with Music Director Richard Egarr as he rehearses the orchestra and Choir of AAM ahead of our Good Friday performance at London’s Barbican Hall.